CRIMINAL MINDS PROMO FOR "MOSLEY LANE"
Criminal Minds promo courtesy of CBS. 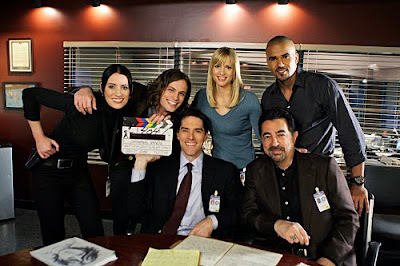 Criminal Minds stars Joe Mantegna, Thomas Gibson, Paget Brewster, Shemar Moore, Matthew Gray Gubler, A.J. Cook and Kirsten Vangsness. 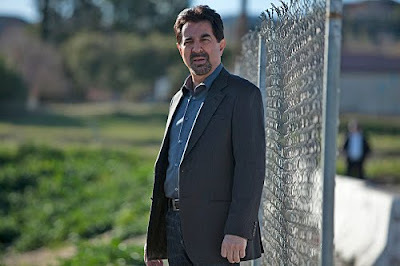 CRIMINAL MINDS PROMO PICTURE FOR THE UPCOMING EPISODE "SOLITARY MAN"
"Solitary Man" -- Agents Rossi (Joe Mantegna) investigates a truck driver who is kidnapping women and disposing of them in random locations, on CRIMINAL MINDS, Wednesday, March 10 (9:00-10:00 PM, ET/PT) on the CBS Television Network. Photo: Adam Rose/ABC Studios ©2010 ABC Studios Television. All Rights Reserved. 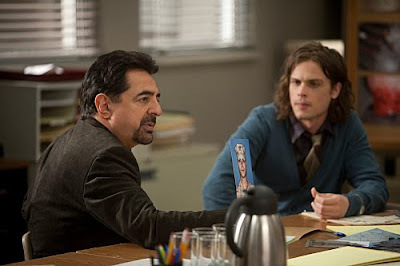 "Solitary Man" -- Agents Rossi (Joe Mantegna, left) and Reid (Matthew Gray Gubler, right) investigate a truck driver who is kidnapping women and disposing of them in random locations, on CRIMINAL MINDS, Wednesday, March 10 (9:00-10:00 PM, ET/PT) on the CBS Television Network. Photo: Adam Rose/ABC Studios ©2010 ABC Studios Television. All Rights Reserved. "Solitary Man" -- A truck driver (Bradford Tatum, right) is kidnapping women in the hopes of finding a new mother for his daughter (Morgan Lily, left), on CRIMINAL MINDS, Wednesday, March 10 (9:00-10:00 PM, ET/PT) on the CBS Television Network. Photo: Adam Rose/ABC Studios ©2010 ABC Studios Television. All Rights Reserved. CRIMINAL MINDS SPOILER THREAD FOR "CRADLE TO GRAVE"
Criminal Minds spoiler thread for "Cradle to Grave" starring Joe Mantegna, Thomas Gibson, Paget Brewster, Shemar Moore, A.J. Cook, Matthew Gray Gubler and Kirsten Vangsness. Episode written by Breen Frazier who will be in the Criminal Minds Fanatic chat room at 10pm est to discuss the episode. CRIMINAL MINDS PRESS RELEASE FOR "MOSLEY LANE"
"Mosley Lane" - The BAU profiles a child abductor who may have been keeping children for more than eight years, on CRIMINAL MINDS, Wednesday, March 3 (9:00-10:00 PM, ET/PT) on the CBS Television Network. Series star Matthew Gray Gubler, who plays Dr. Spencer Reid, directed the episode. CRIMINAL MINDS QUOTES FOR "HOPELESS"
Criminal Minds: Here are the quotes used in "Hopeless" starring Joe Mantegna, Thomas Gibson, Shemar Moore, Paget Brewster, A.J. Cook, Matthew Gray Gubler and Kirsten Vangsness. Kingman Brewster, Jr. said, "There is no lasting hope in violence, only temporary relief from hopelessness." William Shakespeare wrote, "These violent delights have violent ends." CRIMINAL MINDS SONG INFO FOR "HOPELESS"
Criminal Minds song info for "Hopeless" written by Chris Mundy and starring Joe Mantegna, Thomas Gibson, Paget Brewster, Shemar Moore, A.J. Cook, Matthew Gray Gubler and Kirsten Vangsness. 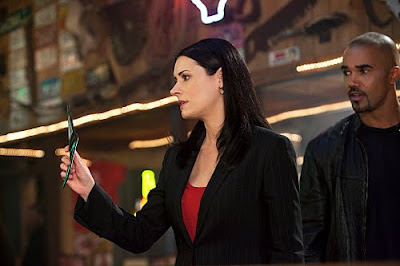 CRIMINAL MINDS SPOILER THREAD FOR "HOPELESS"
Criminal Minds spoiler thread for "Hopeless" starring Joe Mantegna, Thomas Gibson, Paget Brewster, Shemar Moore, A.J. Cook, Matthew Gray Gubler and Kirsten Vangsness. "Hopeless" — A group of suspects with a pack mentality who kill for the thrill of it are the subjects of a BAU manhunt. Criminal Minds: Beau Garrett has landed the female lead on CBS' "Criminal Minds" spinoff. The project, from ABC Studios, the Mark Gordon Co. and CBS Studios, will be introduced in the spring on an episode of "Criminal Minds." It revolves around a new group of profilers, led by Cooper (Forest Whitaker), who work outside the FBI bureaucracy. Garrett will play Gina, a tough girl and recent FBI recruit who is loyal to Cooper and the object of Mick's (Matt Ryan) flirting. Last year, Garrett played the female lead on ABC's pilot "Empire State," which was also produced by ABC Studios and the Mark Gordon Co. Her feature credits include "4: Rise of the Silver Surfer" and the upcoming "Tron Legacy." Garrett is repped by ICM and manager Sean Fay. We are happy to announce a chat with former Criminal Minds writer Deb Fisher and actor Bob Stephenson. The chat will be held on Feb 22 at 10:00PM. Please send an email to cmfchat@gmail.com to get the password for this chat. CRIMINAL MINDS PICTURE FOR THE UPCOMING EPISODE "MOSLEY LANE"
"Mosley Lane" -Behind the scenes with series stars (LtoR) Paget Brewster, Matthew Gray Gubler, Thomas Gibson (seated), A.J. Cook, Shemar Moore, and Joe Mantegna (seated) of the CBS drama CRIMINAL MINDS. Gubler directed this episode which will air Wednesday, March 3 (9:00-10:00 PM, ET/PT) on the CBS Television Network. Photo: Cliff Lipson/CBS ©2010 CBS Broadcasting Inc. All Rights Reserved. "Mosley Lane"--Agent Morgan (Shemar Moore, right) and the BAU profile a child abductor who may have been harboring children for more than eight years, on CRIMINAL MINDS, Wednesday, March 3 (9:00-10:00 PM, ET/PT) on the CBS Television Network. Series star Matthew Gray Gubler, who plays Dr. Spencer Reid, directed the episode. Photo: Cliff Lipson/CBS ©2010 CBS Broadcasting Inc. All Rights Reserved. "Mosley Lane"--Agent Jareau (A.J. 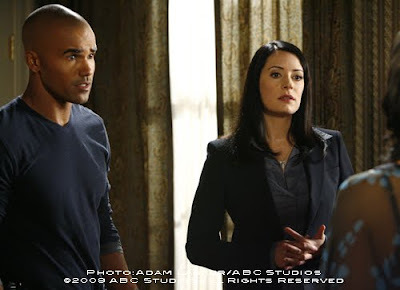 Cook, left) Agent Prentiss (Paget Brewster, center) Agent Morgan (Shemar Moore, right) and the BAU profile a child abductor who may have been harboring children for more than eight years, on CRIMINAL MINDS, Wednesday, March 3 (9:00-10:00 PM, ET/PT) on the CBS Television Network. Series star Matthew Gray Gubler, who plays Dr. Spencer Reid, directed the episode. Photo: Cliff Lipson/CBS ©2010 CBS Broadcasting Inc. All Rights Reserved. 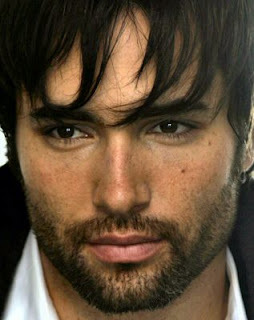 "Mosley Lane"--Agent Jareau (A.J. 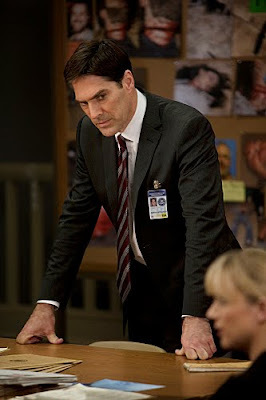 Cook) and the BAU profile a child abductor who may have been harboring children for more than eight years, on CRIMINAL MINDS, Wednesday, March 3 (9:00-10:00 PM, ET/PT) on the CBS Television Network. Series star Matthew Gray Gubler, who plays Dr. Spencer Reid, directed the episode. Photo: Cliff Lipson/CBS ©2010 CBS Broadcasting Inc. All Rights Reserved. 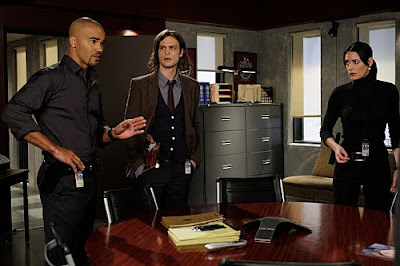 "Mosley Lane"--Agent Morgan (Shemar Moore, left), Dr. Reid (Matthew Gray Gubler, center), Agent Prentiss (Paget Brewster, right) and the BAU profile a child abductor who may have been harboring children for more than eight years, on CRIMINAL MINDS, Wednesday, March 3 (9:00-10:00 PM, ET/PT) on the CBS Television Network. Series star Matthew Gray Gubler, who plays Dr. Spencer Reid, directed the episode. Photo: Cliff Lipson/CBS ©2010 CBS Broadcasting Inc. All Rights Reserved. 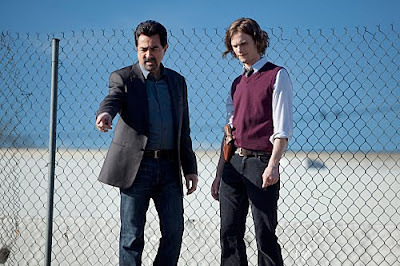 CRIMINAL MINDS RATINGS FOR "PUBLIC ENEMY"
Criminal Minds did great against American Idol. Criminal Minds stars Joe Mantegna, Thomas Gibson, Paget Brewster, Shemar Moore, A.J. Cook, Matthew Gray Gubler and Kirsten Vangsness. 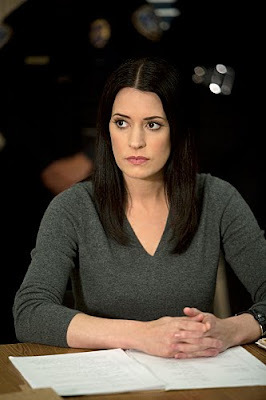 CRIMINAL MINDS SPOILER THREAD FOR "PUBLIC ENEMY"
Criminal Minds spoiler thread for "Public Enemy" starring Joe Mantegna, Thomas Gibson, Paget Brewster, Shemar Moore, A.J. Cook, Matthew Gray Gubler, Kirsten Vangsness. CRIMINAL MINDS QUOTES FOR "PUBLIC ENEMY"
Criminal Minds quote and song info for "Public Enemy" starring Joe Mantegna, Thomas Gibson, Paget Brewster, Shemar Moore, A.J. Cook, Matthew Gray Gubler and Kirsten Vangsness. Criminal Minds: Jess Prosser has been in the movie and TV business for just about a decade now, getting his start as a production assistant on a couple indie flicks, "Super Troopers" and "L.I.E." He moved into TV, and the 32-year-old Prosser has been a writers' assistant on CBS' "Criminal Minds," for the past few years, coming from NBC's "Third Watch." And tonight we're watching a major step in the Marquette High School grad's career: He's got the writing credit for the latest episode of CBS' "Criminal Minds" at 9 tonight on Channel 58. While the script is his baby, Prosser acknowledges that writing for TV is a collaborative effort. It starts with cards on a story board, turns into an outline and then finally becomes a script -- which goes through a series of revisions. It's not a place for a big ego about your script. Criminal Minds: "Public Enemy" -- Agent Jareau (A.J. 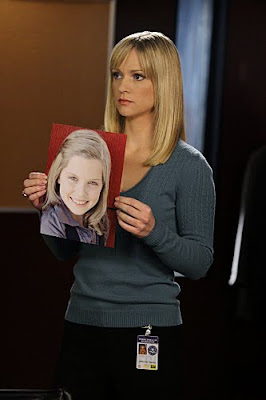 Cook) comforts a child (Anna Clark, left) whose father is involved in a BAU investigation, on CRIMINAL MINDS, Wednesday, February 10 (9:00-10:00 PM, ET/PT) on the CBS Television Network. 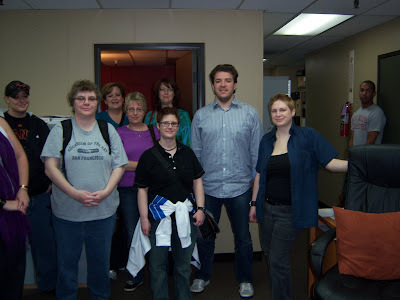 Photo: Randy Holmes/ABC Studios ©2010 ABC Studios. All Rights Reserved. Criminal Minds: "Public Enemy" -- Agents Morgan (Shemar Moore, center) and Jareau (A.J. 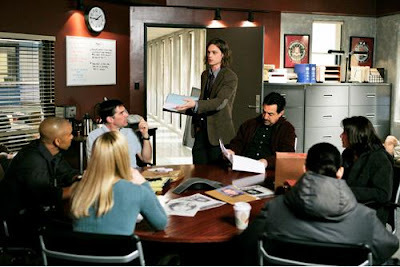 Cook, back center) are surrounded by media while investigating the case of a serial killer who targets random victims in highly visible places to create a sense of public fear, on CRIMINAL MINDS, Wednesday, February 10 (9:00-10:00 PM, ET/PT) on the CBS Television Network. Photo: Randy Holmes/ABC Studios ©2010 ABC Studios. All Rights Reserved. Criminal Minds ratings for the week ending Feb 7th. Another great week for Criminal Minds. 1. "Super Bowl: Indianapolis vs. New Orleans," CBS, 106.48 million. 2. "Super Bowl Post Game," CBS, 75.47 million. 3. "Undercover Boss," CBS, 38.65 million. 4. "American Idol" (Tuesday), Fox, 24.71 million. 5. "American Idol" (Wednesday), Fox, 21 million. 6. "NCIS," CBS, 19.23 million. 7. "Two and a Half Men," CBS, 16.51 million. 8. "NCIS: Los Angeles," CBS, 16.42 million. 9. "The Big Bang Theory," CBS, 15.51 million. 10. "Criminal Minds," CBS, 14.75 million. 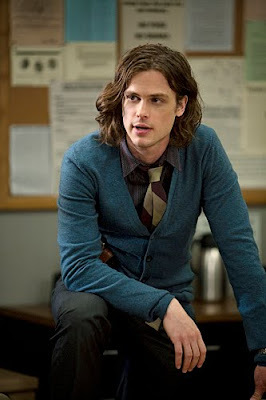 Criminal Minds: "Public Enemy" -- Agent Reid (Matthew Gray Gubler) investigates the case of a serial killer who targets random victims in highly visible places to create a sense of public fear, on CRIMINAL MINDS, Wednesday, February 10 (9:00-10:00 PM, ET/PT) on the CBS Television Network. Photo: Randy Holmes/ABC Studios ©2010 ABC Studios. All Rights Reserved. CRIMINAL MINDS PRESS RELEASE FOR " PUBLIC ENEMY"
Criminal Minds: CBS press release for " Public Enemy" starring Joe Mantegna, Thomas Gibson, Paget Brewster, Shemar Moore, A.J. Cook, Matthew Gray Gubler and Kirsten Vangsness. 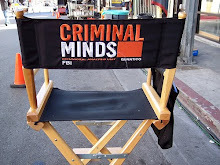 "Public Enemy" - A serial killer who targets random victims in highly visible places to create a sense of public fear is the subject of a BAU investigation, on CRIMINAL MINDS, Wednesday, Feb. 10 (9:00-10:00 PM, ET/PT) on the CBS Television Network. CRIMINAL MINDS RATINGS FOR "PARASITE"
note: the ratings are in millions viewers. CRIMINAL MINDS SPOILER THREAD FOR "PARASITE"
Criminal Minds spoiler thread for "Parasite" starring Joe Mantegna, Thomas Gibson, Paget Brewster, Shemar Moore, A.J. Cook, Matthew Gray Gubler, Kirsten Vangsness. CRIMINAL MINDS QUOTE & SONG INFO FOR "PARASITE"
Criminal Minds quote and song info for "Parasite" starring Joe Mantegna, Thomas Gibson, Paget Brewster, Shemar Moore, A.J. Cook, Matthew Gray Gubler and Kirsten Vangsness.